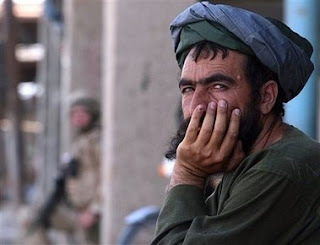 Deedenow Cinema Production Afghanistan: “Sto cercando lavoro’ I say these days. Seeing my Italian the first question they ask is where I am from. Usually I surprise them when I say “ sono Afghano” and then I see more curiosity in their interaction. Perhaps they wonder what kind of Afghan I am without beards and a turban as they have known my people only with these specifications, or they would be more careful so I wouldn’t be dangerous person or so. Some say okay and ask me if I have a curriculum vitae and I respond yes. “Mmmm, vediamo cosa possiamo fare, ci sentiamo fra pochi giorni”. These days some naughty or better to say funny friends, tease me, when calling from unknown numbers, they pretend to play the role of a job agency staff and ask me to come to work tomorrow, but soon I understand their voices and their accents then burst laughing on each other. "quando avrò qualcosa nuova, metterò qui per I lettori di questo blog, ci sentiamo dopo, ma sperò che sara una buona novita subito!" I wish you forgive me if there are mistakes in my Italian. Of course we will forgive you! Good luck, my dear Amin for your search. I'm sure you have all the necessary competences for any type of job.